Healing Arts Press, 9781620554845, 144pp. Jonathan Goldman is an award-winning musician, composer, writer, teacher, and chant master. 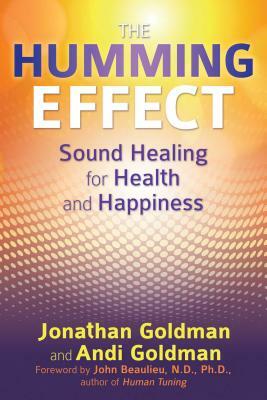 An authority on sound healing and a pioneer in the field of harmonics, he is the author of several books and the founder and director of the Sound Healers Association. He has created numerous albums including the first studio recordings of the Dalai Lama's Gyume Tibetan monks, the first recording featuring dolphin sounds, and the award-winning Chakra Chants. He pioneered many sound therapy techniques now used worldwide, including "Vowels As Mantras" and "Overtoning." Jonathan leads Healing Sounds Seminars throughout the United States and Europe and lives in Boulder, Colorado. Andi Goldman, M.A., L.P.C., is a licensed psychotherapist specializing in holistic counseling and sound therapy, the director of the Healing Sounds Seminars, co-director of the Sound Healers Association, and coauthor, with Jonathan Goldman, of Chakra Frequencies. She lives in Boulder, Colorado.